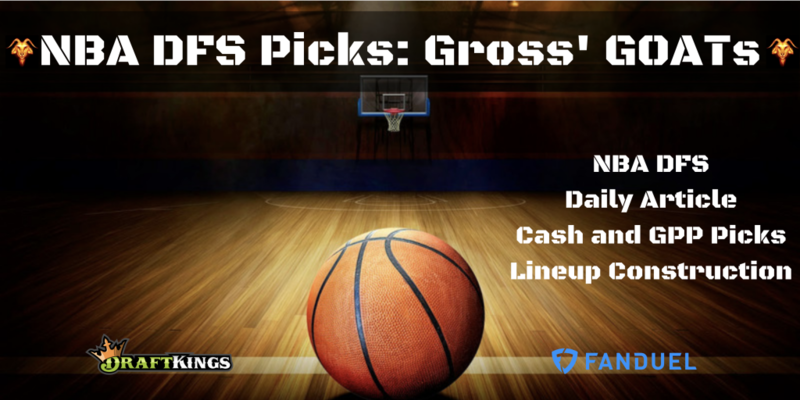 Gross’ GOATs is the newest addition to our NBA DFS content offering. Josh Gross is a NBA cash game and GPP player, but this will focus on his TOP NBA plays for the slate at hand. Josh has won tens of thousands of dollars in NBA DFS, and he looks to bring the edge to you! ROTOCURVE ANNOUNCES MLB! CLICK FOR DETAILS! Welcome, all. I’m Josh Gross. You’ve seen me on RotoCurve for quite some time now, especially involved in NBA DFS. After an incredible preseason, I’m looking forward to bringing you the edge night in and night out all season long on RotoCurve, and I’m proud to call this: “Gross’ GOATs”. Here you will find my five favorite plays of the night that I am building my lineups around, along with some others to consider. In addition, I’ll be the RC Slack to discuss the slate all year long. Let’s continue the NBA money tree and win all season long.